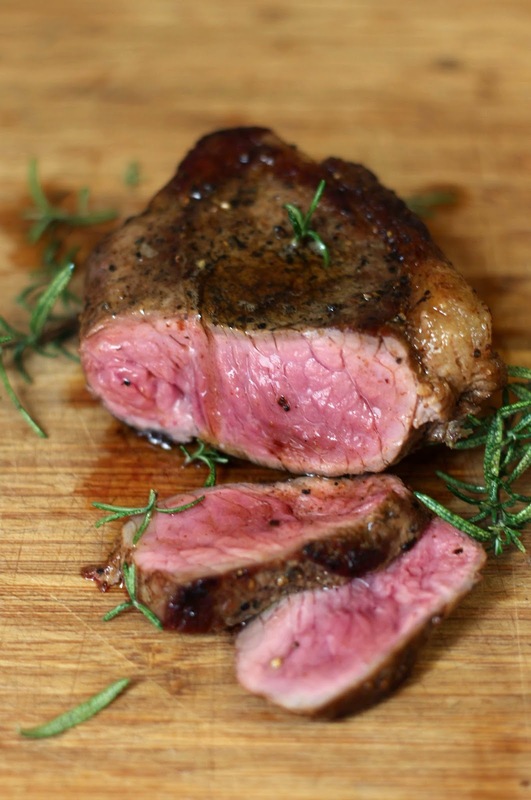 Make sure to let your steak come to room temperature before cooking, about 45 minutes. Heat a nonstick pan on high heat, to check if it's hot enough, drizzle a few drops of water into the pan and if it dances around and evaporates immediately then it's hot enough. Season the steak on both sides with olive oil and salt and pepper. Pour a little olive oil into the pan and let it come to temperature before placing the steak into the pan away from you. Cook on each side for 3-3 1/2 minutes for medium rare. 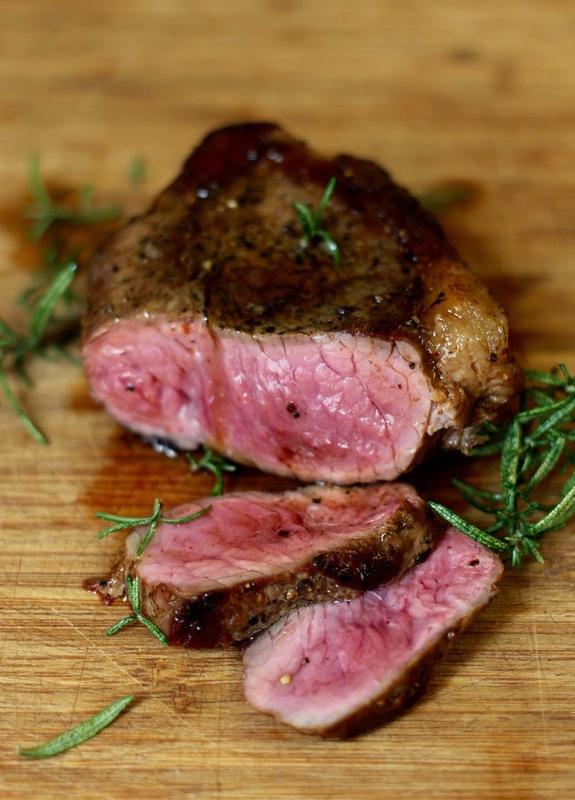 At 3 minutes, rub a few sprigs of rosemary of thyme all over the steak, before turning and rubbing the other side of steak with the herbs and add to the pan. Remove from the pan and allow to rest on a board for 5 minutes. Either serve the steak whole or slice the steak and serve on a platter. Pour the juices that have drained from the steak into the pan and swirl with the butter and pour over the steak to serve.